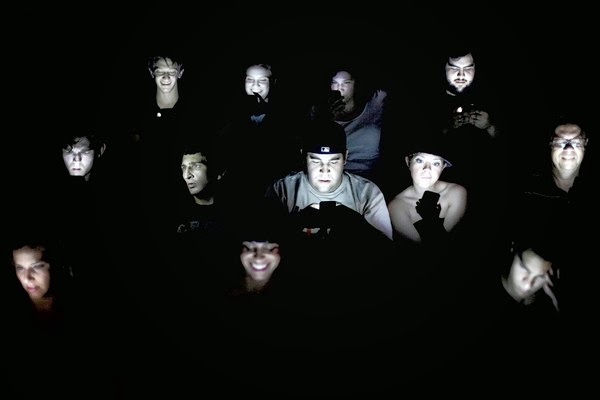 The Urban Politico: I Said Stop Texting During The Movie!!! An argument over texting at the movies ended in a cellphone user’s death, when a retired police officer in the audience shot him at a theater near Tampa, Fla., on Monday afternoon, the authorities said. Two couples were among patrons at a matinee of “Lone Survivor” at the Grove 16 movie theater in Wesley Chapel, about 20 miles northeast of Tampa, when one of the men, a retired Tampa police officer, got angry because the man in front of him was using his phone during the previews, despite being asked to stop several times, said Douglas Tobin, a Pasco County sheriff’s office spokesman. A witness told local television stations that the offended man stormed out to get a manager, but returned without one. The man using the phone explained to the irritated man that he was simply texting his 3-year-old daughter, the witness, Charles Cummings, told Tampa’s FOX 13 television. A nurse in the audience tried performing CPR on the victim while an off-duty sheriff’s deputy from another county detained the gunman. The victim was identified as Chad Oulson, 43, of Land O’ Lakes, Fla. His wife, Nicole, had placed her hand over her husband just as he was shot, and was wounded, Mr. Tobin said. The gunman, Curtis Reeves, 71, was charged with second-degree murder. As crazy as it is to shoot somebody in a public place (I'm conceding that it obviously went too far here), am I wrong for not feeling any sympathy for the texting victim here?